In 1990, Susan started Ross Mill Farm, Inc with her husband, Richard, as a breeder of registered potbellied pigs. 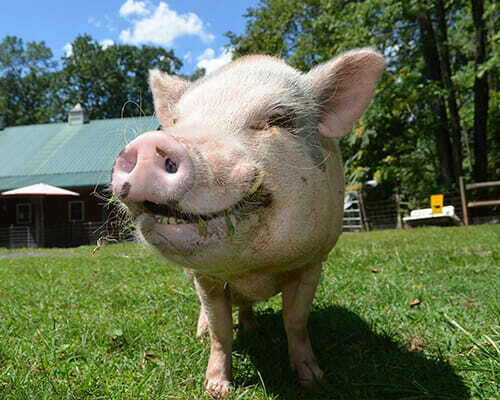 In 1991, Susan became the founding President of Delaware Valley Potbellied Pig Association. 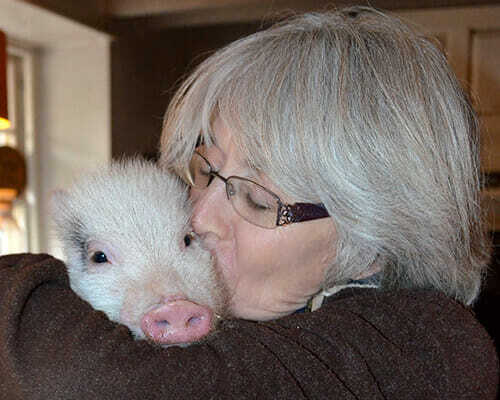 In 1991, Susan started the DVPPA’s Pig Rescue Committee which in 1996 became Project Save A Babe. In 1993 – 1997, Past President and Board Member of North American Potbellied Pig Association (NAPPA) NAPPA Certified Potbellied Pig Judge. In 1994 – 1998, Co-Chair of the NAPPA Ethical Breeder Committee. In 1998, Susan co-founded Pig Placement Network, a service to assist pet pig owners to rehome their pet pig. Ross Mill Farm is the major foster care facility for PPN directly placing over 1000 pet pigs in new forever homes as of Spring 2018. The PPN website is responsible for countless other Owner to Owner placements. The Duchess Fund, a medical database exclusively for pet pigs, Founding Board Member and Secretary.